While it’s true you can’t control everything, chosen actions influence your outcomes. For example, poor nutrition and a sedentary lifestyle certainly won’t prolong your years on earth, though healthy choices might. Most ecommerce merchants hope their online shops endure, to become “going concerns” in business parlance. Else, why bother to launch one? Of course, at MerchACT we wish every high risk merchant a long life AND a durable ecommerce business. Which is why we often advise steering clear of payment aggregators. Why gamble away your ability to accept payments? How do payment aggregators risk your payment acceptance ability? Let’s take a look, including the better choice for business longevity. No doubt every existing or aspiring online merchant knows about PayPal, Stripe, Square, Google Checkout, and Amazon Payments — and other regionally-based services. Also known as merchant aggregators, payment aggregators hold merchant account(s) with banks in their own business names. If you choose an aggregator, you’ll be among the many merchants processing payment transactions through the aggregators’ merchant account. Payment aggregators’ services are easy to set up, so you can be processing payments quickly. There isn’t any real scrutiny applied to merchants before “approval.” Unlike seeking your own merchant account — when due diligence will occur. Monies from your sales pay into the aggregator’s merchant accounts when transactions settle, not directly into your bank account. This makes availability of operating funds slow to materialize. You may or may not be able to establish a unique identifier for your business name for transactions on your customers’ monthly statements, leading to confusion and higher chargeback rates. Consider the cost of doing business through these platforms. Processing costs vary by vendor, but fees associated with payment aggregators are typically higher over time. Most payment aggregators charge a per-transaction fee of 2.9% plus $0.30 for card-present and online transactions. Based on location and currency, it may be higher. At least one vendor raises fees to 3.5% plus $0.15 for card-not-present transactions when the card number is entered manually (as for mail order and telephone order (MOTO) transactions). Additional fees include those for international transactions (cross-border fee up to 4.4% from PayPal) and currency conversion costs. Payment aggregators may fund merchants within one to two business days, unless the merchant must manage their own funds transfers. And if a you want to be paid more quickly, an additional 1% + will trigger a faster payment option. Choosing to receive your money by check rather than funds transfer is available from one vendor, for another $1.50 fee. And if a merchant chooses to dispute a chargeback, one surveyed payment aggregator charges a flat fee of $20 — even if you win. Some payment aggregators require merchants to maintain stored value accounts, effectively holding the merchant’s money to allow for future chargebacks. Choose merchant account providers vs. payment aggregators — except during a proof of concept — when expecting sales to remain low — and always for high risk merchants. Remember what we said above: little scrutiny goes into “approving” accounts with payment aggregators. Major banks and credit card brands prohibit certain types of businesses considered high risk (like gambling, adult services, tobacco products, and the like). Payment aggregators prohibit them too, but not always up front. So even if you think your high risk business was approved, you may find it put on hold without explanation. It may be easy to get started with a payment aggregator, but they’ll cancel your account in a heartbeat when chargebacks or anything they deem “suspicious” occurs. Even if you’re honest about your business when signing up, a common complaint about payment aggregators is this chain of events: get approved for an account… set up… process a few transactions… then TERMINATED! To make matters worse, there’s no recourse and seldom anyone to speak to. Very little personal service for individual merchants distinguishes one aggregator from another. So, you could find yourself without the ability to accept payments, with little warning. Another consideration in the aggregators vs. merchant accounts debate relates to fraud guarantees and dispute processes. Investigate what’s offered, and look for reviews from other merchants. As always, read all agreements carefully before signing anything. Many of the gotchas are in Terms of Service and contract documents. Payment aggregators handle chargebacks differently too. Chargebacks can kill your online business, and so you must pay attention to the issue. We talk often about what causes chargebacks and how you can reduce them over time. Rather than repeat it here, we’ll send you back to basics about fraud-related chargebacks, and why they might be out of control. Don’t miss the post about how payment aggregators handle chargebacks, using PayPal as a proxy. You deserve better, so choose your processor wisely. Your high risk business longevity depends on it. Choose a Payments Longevity Specialist — Choose MerchACT. 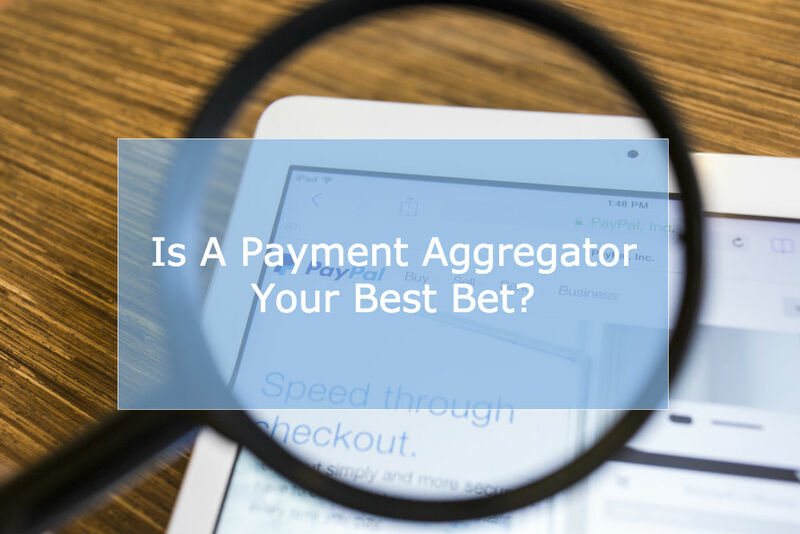 When it comes to your high risk ecommerce business and payment acceptance, don’t gamble your business longevity with payment aggregators. You’ll risk account termination when chargebacks occur. and have cultivated relationships with domestic and international banks willing to work with high risk ecommerce merchants. We’re delighted to help you find the right merchant account and processing solutions for the specific needs of your business. MerchACT also serves as a consultant and payments advisor, offering guidance on a personalized suite of fraud tools — and helping to put chargeback management plans in place. We’ll work with you to optimize payments processing capabilities. Because we view our payments clients as business partners. We’d like to be yours.